Sangla valley is most charming and most beautiful Valley in country. Sangla is a city in the Baspa Valley in Kinnaur District of Himachal Pradesh. Sangla is located very close to the Tibetan border. Sangla is a perfect gateway from busy life of cities. Sangla valley is also famous for temples and Meadow in valley. Other name for Sangla Valley is Baspa Valley. "Sangla" meaning in language of Kinnaur is "Pass of Light" mean valley receiving sunlight during the day. Sangla Valley is located in Kinnaur District of Himachal Pradesh. Sangla or Baspa valley starts at Karcham and ends at Chitkul. Chitkul is also a beautiful village located in this heavenly valley. Sangla valley is situated at an height of around 8,900 feet. 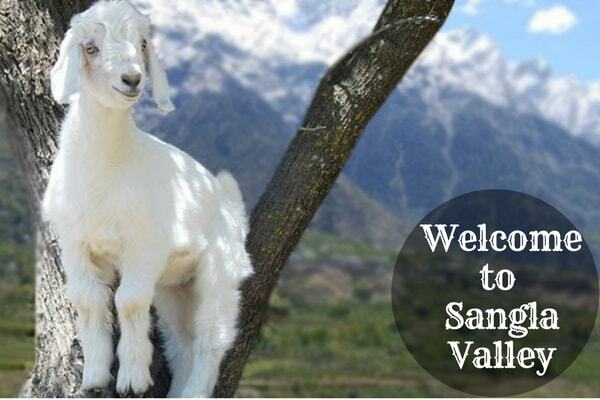 This beautiful and majestic Sangla valley is located on the bank of the river Baspa. Sangla Valley cosists of many villages and town but Sangla is biggest town where all facilities are available. here is a little view of Sangla. Sangla valley is known as for its temple also. There are several famous temples in Sangla valley. Some of them are here below. These all temples are great example of extraordinary creativity and spirituality. Temples are truly architecture wonder and devoted to Hindus mostly. Chitkul village is located on India-Tibet border and at a distance of around 27 km from Sangla. Village is famous for its extraordinary scenic view and Potatoes also. Sangla meadows or Sangla Kanda is most favored spot in Sangla valley as it is lush green meadows with mud patches and a magnificent backdrop of snow covered Himalayan Mountains. Kamru fort and now temple is great mix of extraordinary architecture and perfection. Kamru Fort is dedicated to Kamakhya Devi. The fort consist of a wooden balcony and a big wooden idle of goddess Kamakhya Devi. Batseri village is located at a distance of around 8 km Batseri village is famous for local handicrafts like kinnauri shawls, caps and other handicrafts items. Tibetan Wood Carving Center is also located in Sangla valley and famous for Tibetan handicrafts and items. Sangla Valley is famous for Sweet & Juicy apples. Until 1989 outsiders were not allowed in valley without permission due to its geographical location. Baspa Dam Reservoir is located in Sangla Valley and this dam is on Baspa River. A saffron farm is located in outskirt of Sangla town. Fulaich Fair is celebrated in sangla valley in the month of August and September. Kamru fort is more than 800 years old and now it has been turned into temple and temple is dedicated to maa Kamkhya Devi. How to Reach Sangla ? To reach Sangla there is only Bus services and Taxi services as there is no airport or railway facility in this place. To reach there one can hire private taxi also.